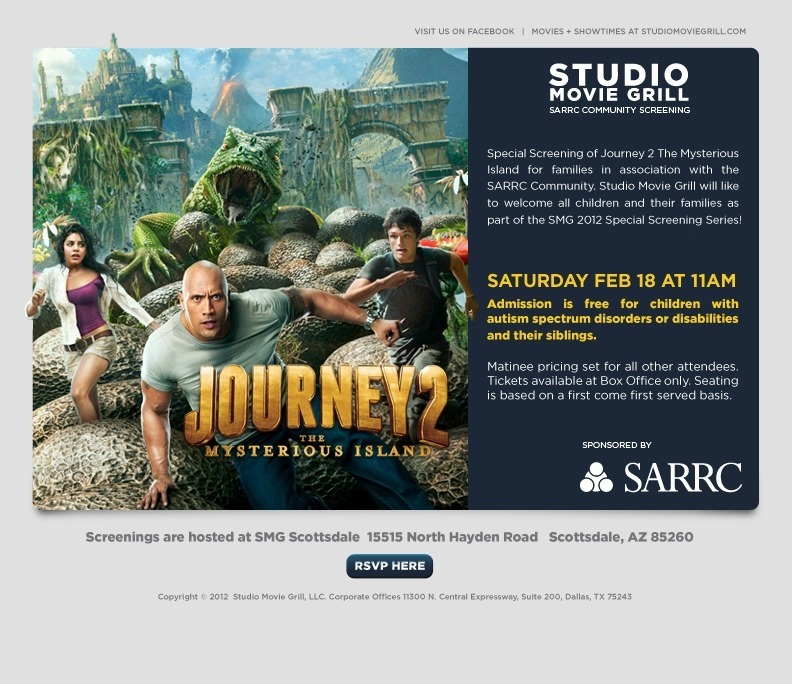 Studio Movie Grill would like to invite SARRC families to a special screening of "Journey 2" at 11 a.m. on Saturday, February 18. This event will be FREE of charge for children on the spectrum and their siblings. All others will be admitted at the standard matinee price of $5. 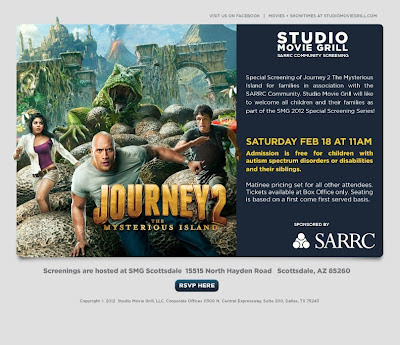 2) When you arrive on Saturday, simply mention to the box office staff that your family is part of the SARRC promotional screening.